Geert-Jan Mulder, MD, co-founded Forbion in 2006, currently serves on the Board of several Forbion portfolio companies: AM-Pharma, Promedior Inc., NeRRe Therapeutics and KaNDy Therapeutics. 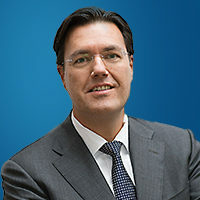 In 2004 Geert-Jan led the firm’s successful investment in Bluebird Bio (NASDAQ: BLUE), which went public in 2013, where he supported the company in clinical development and served as the chairman for several years. Other investments include Acorda Therapeutics (NASDAQ:ACOR), which went public in 2006 where he was part of the AMPYRA®(dalfampridine) board panel to evaluate a new clinical endpoint in Multiple Sclerosis; PanGenetics B.V. leading their Series B and sold to Abbott for USD 190 million in 2009; and Transave, where he supported the company’s clinical development for ARIKAYCE® (liposomal amikacin for inhalation) partly as interim CMO and serving on the Board of Directors until the merger with Insmed (NASDAQ:INSM) in 2010 was completed. After co-leading the Series A of Exosome Diagnostics Inc. in 2010, he served on the Board of Directors being actively involved to finally commercialising its proprietary platform till the company was acquired by Bio-techne (NASDAQ:TECH) for up to USD 575 million in 2018. Prior to joining ABN AMRO Capital Life Sciences (Forbion’s predecessor) in 2001, Geert-Jan received his Medical Degree from the University of Utrecht (NL), spent two years as a clinician in Obstetrics and Gynecology at the University Medical Center of Utrecht (UMC). He then joined Searle (now Pfizer) working in the field of Arthritis & Pain, where he was involved in the clinical development and in the European Advocacy Development for the pre-launch of Celebrex®. After transitioning to Byk Gulden (now Takeda) he became Clinical Research Manager, where his department was responsible for the design and execution of numerous early and late stage clinical trials that formed the basis for two global product registrations, Daxas® and Alvesco® in the field of Respiratory Medicine (asthma and COPD). He was a member of the Global Medical Marketing group of their Respiratory Franchise and also involved in the line extension program for Pantozol®.